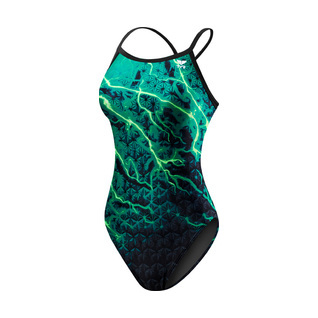 Tyr Illume Durafast Elite Diamondfit Female made with Durafast Elite Material to last you the extra mile with 300+ hours of performance. With thin straps designed to fit just right wrapping around your shoulder blades proving comfort and flexibility. Along with moderate leg cut and medium neckline to make every second in the pool the best.